Let’s talk briefly about detachables and their various forms. Unlike convertibles, there are variations here that matter for day-to-day use and those differences could sway your purchase. The first type of detachable is the tablet with a battery-toting base. These bases tend to be much more heavy and thick, at times adding multiple I/O ports, extra battery life, and even upgraded GPU support. Microsoft’s Surface Book is a good example of this type of device. There are tons of mechanisms that attach the keyboards on these devices, varying from magnets to latches, and they keyboard portion is usually as large as the tablet portion. They may or may not have a convertible option for tablet use without removing the keyboard. They work really well as standard laptops and pretty well as a tablet. You just have to decide what you will do with your keyboard when it is tablet-only time. The second type of detachable is also highly touted by Microsoft in the Surface Pro line. These devices are usually a tablet with a kickstand and a thin, light detachable keyboard. 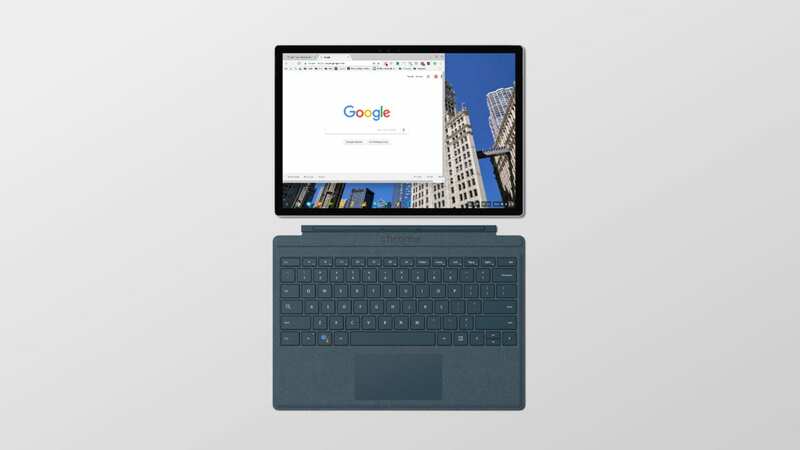 This keyboard is thin enough to simply act as a cover and can be folded behind the screen like a convertible when quick tablet access is needed and a keyboard is not. They function really well as portable tablet devices and do just fine as a laptop when on a table. The Achilles heel with this type of device is casual laptop usage. On a couch or in bed, the laptop option gets a bit awkward due to the lack of a solid base. Lastly, we have the tablet with a keyboard cover. The best example here is the iPad Pro. The iPad Pro line is a tablet through and through. There’s no doubting that. However, when you slap on the keyboard, a bit more productivity is possible. The keyboard becomes the stand here as well and is even more flimsy than the second option above. The kickstand on Surface-like devices is a definite step up in solidity, for sure. If I’m a betting man, I’d put my money on the Surface-style device. If you look at that commit, it becomes pretty clear that ‘Soraka’ will be using a pogo pin connector for the keyboard portion. Yes, pogo pins are used for both the Surface-style devices and in the iPad Pro connections, but we’ve seen these types of devices being differentiated in the repositories: tablets and detachables. If ‘Soraka’ was going to be a tablet with a simple keyboard cover, they would likely just lump it in as a tablet. My money is on a device similar to the Surface Pro. It is very popular and has spawned quite a few clones in the PC space. Interestingly, HP has a line of Surface clones and has the hardware capabilities to make a device like this. While we have nothing to confidently point in that direction, it would make sense. With the updated keyboard layout and Assistant button, there’s still the possibility that this could be a sister device to ‘Eve’, but again, there’s no way to know that right now. It does seem that ‘Soraka’ is shaping up to be a great device in its own right, though, and that alone is exciting. As we always do, we’ll keep digging for more info.